Editor’s note: This is the fifth of seven articles in a series on Strategic R&D Management in AgChem and BioScience to be published on AgriBusinessGlobal.com. For a full list of the articles, click here. 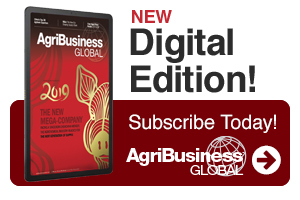 In the previous article in this series on Strategic R&D Management in AgChem and BioScience, we learned how the SMART-TECH Industry builds on the BioPesticide industries value proposition to create a new “Blue Ocean” in Crop Protection. In this article, we will learn how to lead innovation in R&D teams. To successfully manage the critical interface between strategy (vision) and execution for innovation portfolios, it is necessary to introduce an iterative, input-based and inclusive development framework to promote the inclusion and buy-in of expert teams. How do we ensure a speak-up culture? Traditionally, crop protection companies have implemented a classic management career track. In this system, competent R&D scientists are promoted to management positions, and it is from these positions that contributions are made to business strategy. Unfortunately, it is not always the case that the most competent experts become the best managers or strategists, and it is quite common for excellent scientists to attain management positions and subsequently leave the company to return to the bench. Alternatively, talented scientists may refuse promotion to managerial positions, and their input to strategic decisions is lost. The introduction of an expert-career track (paralleling the management career track in a dual career track system) is a way to provide experienced and talented scientists with the opportunity to contribute to business strategy at a managerial level, without the constraints of a managerial career track. Figure 1: Dual career track system. 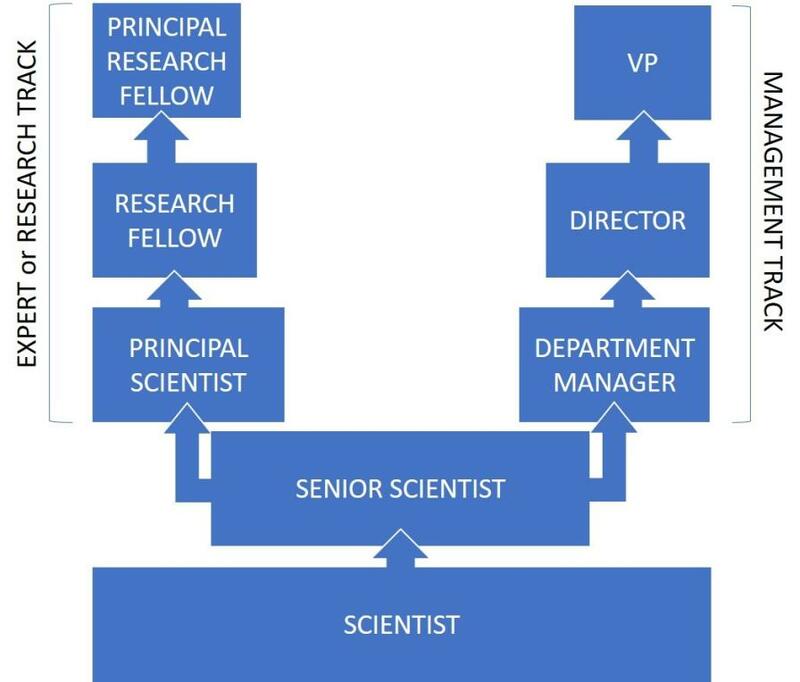 Here, talented scientists progress through Senior and Principal Scientist levels to the position of Research Fellow, at which level they have the same opportunity to provide strategic input as an R&D Director, for example. How do we promote bottom-up initiatives? Conventional, output-based incremental development frameworks are appropriate for the management of incremental (conventional) development projects, and output-based measures of performance such as KPIs are easy to define. However, incremental frameworks may hinder the iterative R&D process of innovation, and KPI’s and bonus incentives often prove detrimental to the innovation process. Simply put, bonuses do not always motivate scientists. Figure 2: Input-based performance measurement in an Inclusive Management Framework. For innovation projects, measures of input-based performance can be more appropriate, although the identification and quantification of these performance measures prove challenging for many companies. An example of an appropriate measure could be the quantification and recognition of learning provided to the project or company by the individual. For input-based innovation projects, one objective of measuring performance is to provide a means to end the innovation process (e.g., by defining a minimum viable product). How do we lead and motivate expert teams? Innovation and inclusion of expertise from the “execution” or “down” organizational layer entails recognizing and legitimizing innovation and learning inputs as a measure of input-based performance. At the same time, clear expectations of independent, individual innovation should be included in R&D job descriptions. R&D experts should always have the freedom to challenge the existing R&D framework, to ensure “bottom-up” integration (e.g., by critically evaluating project-group makeup): “Is biology adequately represented throughout the project time plan?” and “Do evaluation criteria also measure learning?”. Rather than monetary bonuses, R&D staff may be better motivated through the provision of time for them to pursue non-project related innovation initiatives, opportunities for scientific publication and increased access to scientific congresses and conferences not directly relevant for the company’s core business. Increased flexibility in working hours and locations for R&D staff as well as increased autonomy have also proven to be effective motivators. Finally, the visible inclusion of R&D input into strategic business decisions by encouraging a speak-up culture and promoting bottom-up initiatives is a key factor in ensuring the motivation of expert teams. In this next article of this series, we will learn about Managing Innovation Processes in R&D. Thanks for reading. Please feel free to read and share my other articles. 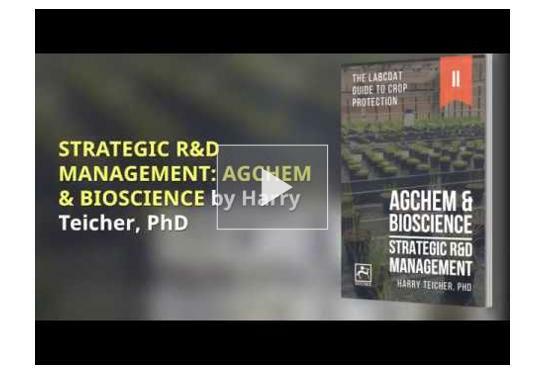 If you found this article interesting, you will find more useful information in STRATEGIC R&D MANAGEMENT: AGCHEM & BIOSCIENCE by Harry Teicher. Aimed at managers, researchers, and others wishing to understand basic strategic aspects of Crop Protection, this book is an easily accessible introduction to essential principles of Strategic R&D Management. For more information, visit BIOSCIENCE SOLUTIONS – contributing to the development of sustainable Crop Protection solutions by providing independent Strategic R&D Management and Scientific support to AgChem and BioSolutions Businesses developing science-based products. 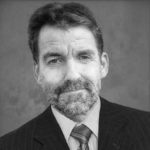 Dr. Harry Teicher is an independent Strategic R&D consultant with over 20-plus years of AgChem and BioScience R&D Management and Support Experience. Harry gained his PhD in Biochemistry and Molecular Biology from the University of Copenhagen and worked in a wide range of roles in R&D specializing in biological crop protection strategies. Until 2018 he held various Management roles at Cheminova and FMC whilst also acting as a guest lecturer in Plant Biochemistry, Biotechnology, Plant Pathology and Crop Protection. He now operates an independent Strategic R&D Management consultancy, providing Science Communications and Strategic Management Expertise to the R&D Industry. Harry is the author of Pesticides & Biopesticides: Formulation & Mode of Action (BioComm Press, 2017). See all author stories here.